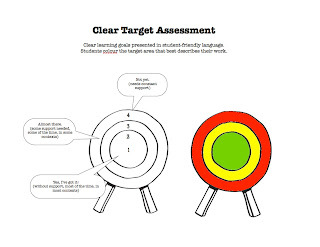 Clear target assessment for writing with learning goals provided in clear student-friendly language. 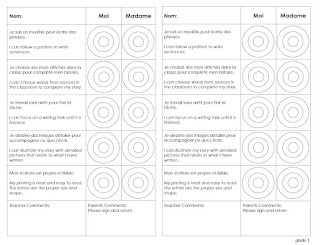 Every written piece can't be assessed but teachers can periodically add a comment and attach this assessment to journal entries and writing pieces to be reviewed and signed by parents. Reading and writing continuums provide detailed assessment of skills throughout the year and for report cards. 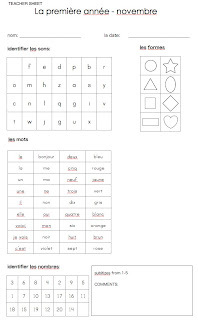 The following file is a general assessment used at the end of first term in grade 1. 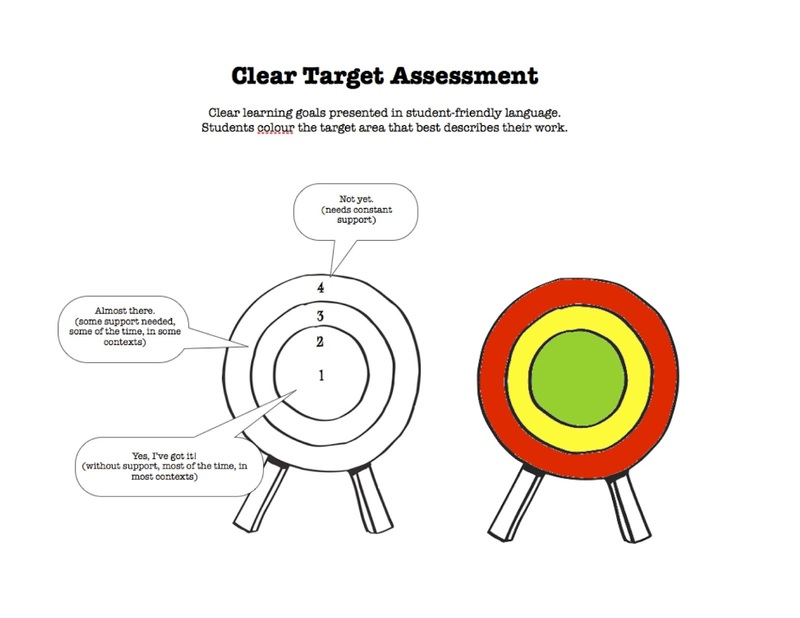 The file also includes a copy for parents with a note explaining the assessment.